June is not usually a good month for investors. The accompanying chart shows the month returns for June of the FTSE All-Share Index from 1984. One can easily see the market falls more often than it rises in June, and when the market does decline the falls can be quite large, whereas the positive returns are usually only modest. 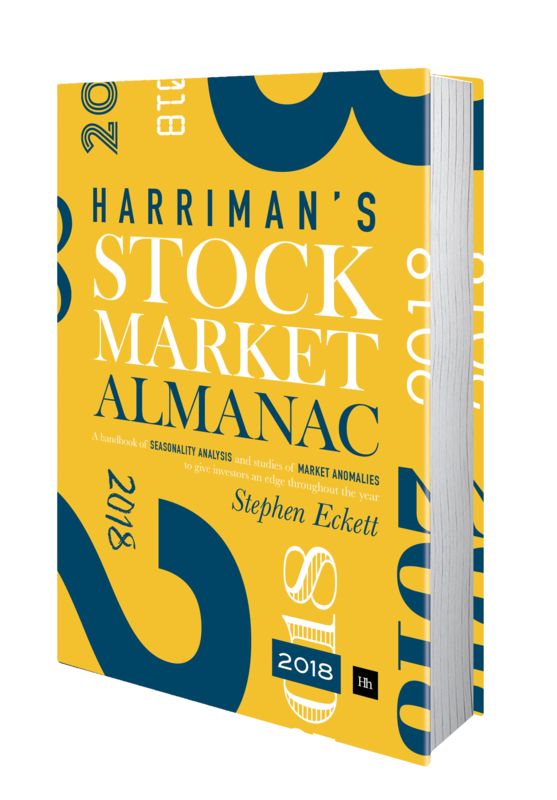 Putting some numbers to this, in the 47 years since 1970 the market has seen positive returns in June 21 times (45%), with an average month return of -1.0%. In recent years the record is even worse. 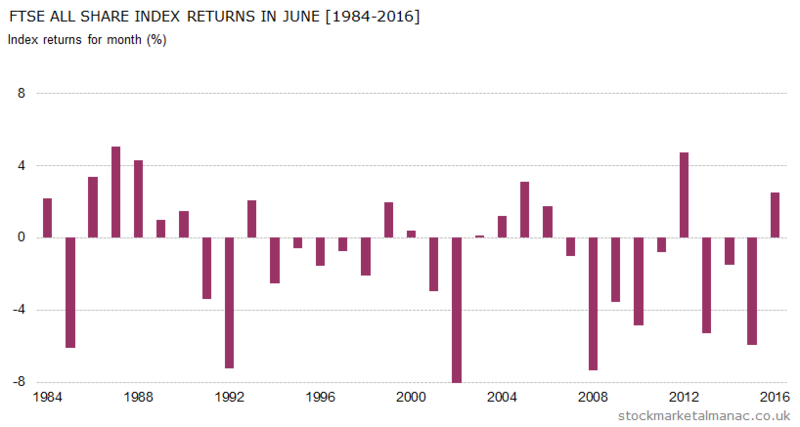 In the 17 years since 2000 the market has seen positive returns in June just 7 times (41%), with an average month return of -1.6%. Last year saw an unusually positive return in June when the market rose 2.5% (over the turbulent time of the EU referendum). It’s not all gloom in June however, three sectors have gone against the trend and seen consistent strength in the month: Beverages, Oil & Gas Producers and Pharmaceuticals & Biotechnology. FTSE 350 stocks that have also tended to be strong in June are: RPC Group [RPC], NCC Group [NCC], and BTG [BTG]. While stocks that have a track record in the month are Barclays [BARC] and Travis Perkins [TPK]. Barclays has a quite shocking record of performance in June – the worst of any FTSE 350 stock. In the last four years in June Barclays shares have fallen -13%, -14%, -4%, and -24% respectively. In the ten years since 2007 the average return of Barclays shares in June has been -11.1%. This is quite a busy month on the economics front: there is the US Nonfarm payroll report on the 2nd, ECB Governing Council Meeting on the 8th, FOMC interest rate announcement on the 14th, the MPC interest rate announcement on the 15th, and Triple Witching on the 16th.